core comes IMAX Private Theatre™, delivering an immersive entertainment experience so intense that it draws out all your senses. IMAX Private Theatre™ is for those who yearn for more, those who embrace the future, visionaries. 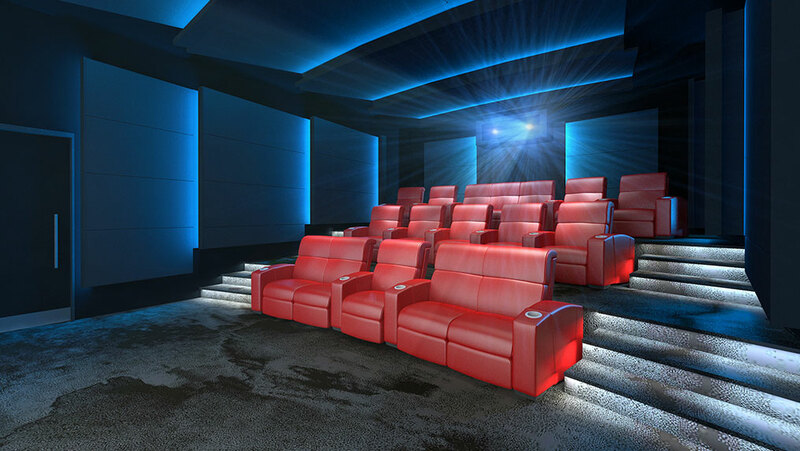 IMAX Private Theatre Palais™ offers an intimately designed, luxurious home theatre experience to be shared with close family and friends. Product Description IMAX Private Theatre™ is the world’s first turn-key home entertainment system from a holistic source, offering a complete audio-visual package with a user-friendly control system,optimal performance ensured by 24/7 system monitoring,and dedicated services and support. It for the first time offers the immersive IMAX® entertainment experience to its customers in the comfort of their home, and supports multi-media functions including Blu-ray™, high-definition TV, games and Karaoke. IMAX Private Theatre™ delivers a simply awe-inspiring IMAX® grade entertainment experience to the visionaries of our time.